Whether you’re a product distribution warehouse, emergency response facility, or an access control company, you know how important Automatic Vehicle Identification (AVI) systems are to productivity and efficiency. Time is everything when it comes to delivering to a customer or arriving on a scene — every second counts. So why rely on manual or outdated automatic gate systems? Fit your facility with transmitters, receivers, and readers to improve efficiency and response. When you have dozens of vehicles entering and exiting your facility each day, you need some way to track their access. An AVI system allows you to give each vehicle their own tag, so that when they exit or enter they can be tracked. When you choose the hands-free operation, you get true automatic access control. An AVI system allows for your vehicles to exit and enter without the manual operation of a gate or entry point. Your AVI system is non-intrusive, and it’s easy to use. Once you have your AVI system installed, all of your vehicles will be tagged and able to access your facility without a hassle. One of the biggest hurdles most customers have with automatic gate system is that they require more work than a manual gate. This is not true for Diablo Controls, you will spend less time at the gate with our AVI system. For emergency response teams or warehouses, there is a long-range option available so that, as the vehicle approaches the gate from a distance, it triggers the automatic gate, reducing time at the gate. This helps increase efficiency. Your AVI system will improve facility security. Any vehicle without the proper tag or code will not be granted automatic entry into the facility. This means that you can get all the benefits of an automatic gate without the hassle of filtering who can and cannot enter. 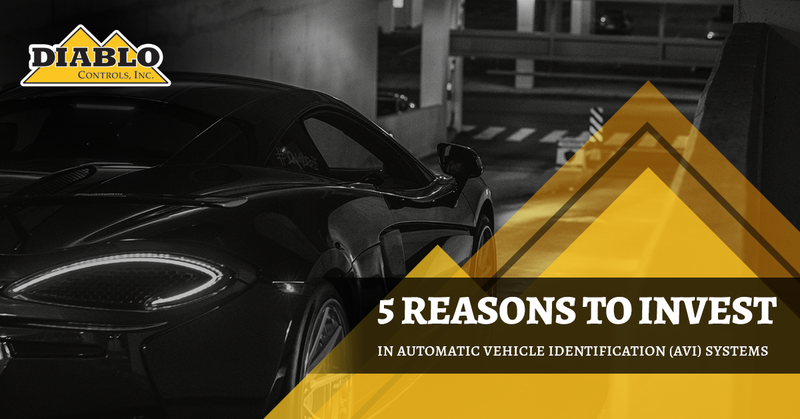 It’s time you invested in an Automatic Vehicle Identification system. Automatic gates give your drivers more time on the road, which means more productivity. It only makes sense to create an as efficient system as possible. An AVI system helps you do just that. At Diablo Controls, we’ve been in the access control, traffic, and parking industries for more than 40 years. In fact, we changed the entire course of traffic control electronics with the microcontroller. Are you ready to invest in an AVI system? Contact Diablo Controls now to get a quote!